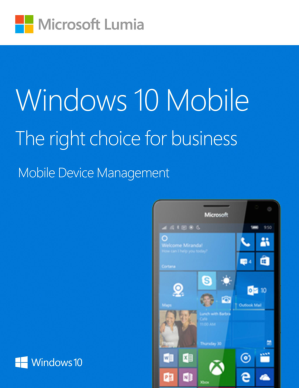 Windows 10 Mobile helps organizations address these challenges by providing a robust, flexible, built-in MDM client. This guide provides an overview of the mobile device and app management technologies in the Windows 10 Mobile operating system. It describes how Mobile Device Management (MDM) systems use the built-in device management client to deploy, configure, maintain, and support phones and small tablets running Windows 10 Mobile.